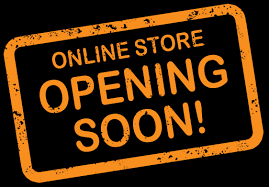 The Whittlesford Society is pleased to announce that our Shop will shortly be opening its (virtual) doors selling a range of our goods and publications. We are open 24 hours a day, 365 days a year – and you can shop from the comfort of your chair. We can accept instant payment with PayPal – you do not have to have a PayPal account, there is an option to use your Debit and Credit cards at the payment screen. Alternatively, order from the shop and select Bank Transfer, we will send you an email with our bank details so that you can make payment on-line. As soon as you have made payment, reply to the email with “Paid” and we will process your order. We will be offering items from local artisans and our Product Pages will be updated, so please check regularly to see what has been added. We will NEVER send unsolicited email nor will we pass your details on, other to our supplier if it is being sent directly by them. We do not see nor retain your debit/cred card financial information.